The original Feminist Camp experience. You're someone with a passion for feminism but you're not quite sure how that's going to translate into your professional life. Or, you're sick of hearing people ask you "what you can do" with a Women's/Gender Studies degree. 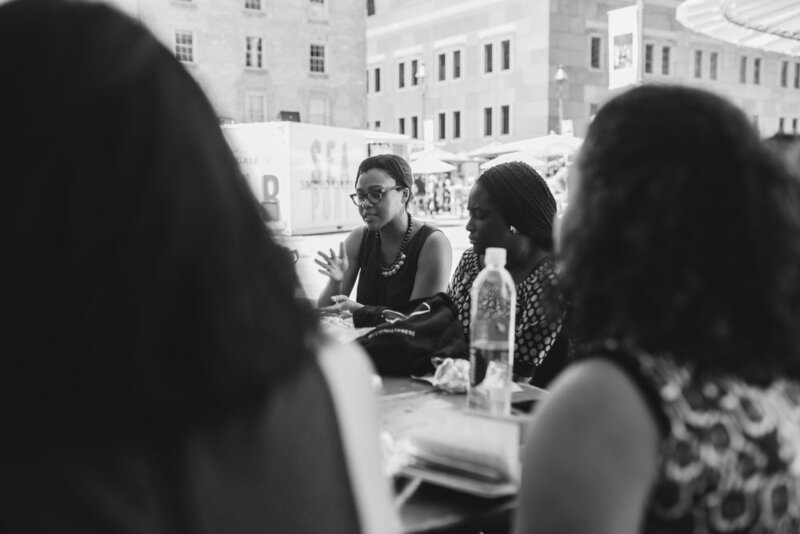 Our flagship Feminist Camp program in the Big Apple is designed to help you identify your next steps for applying your feminist passion to your professional or beyond-college life. Use your extra-curricular time to attend a Broadway show, visit a world-class museum, grab a drink at Stonewall, see the Statue of Liberty, or go shopping at radical feminist bookstore Bluestockings. We will be holding two sessions in Summer 2019! Ms. Foundation for Women & way more! *Housing fee only applies if you are staying in camp housing. If you arrange for your own housing, fee does not apply. Shannon (Feminist Camp NYC Summer '14) double majored in neuroscience and cinema studies at New York University. After working in research and educational television, she became a passionate science educator in the Bronx, where she co-leads a Girls in Science Club and tries to save the world, one pupil at a time. Be the first to hear when registration for camp opens, AND get a free sample schedule! We respect your privacy and won’t share your info with anyone.